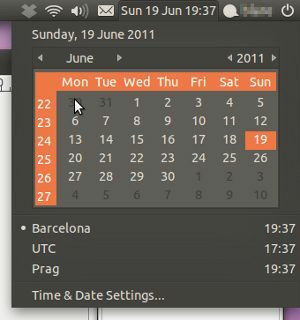 If you have installed the United States language version of Ubuntu, for sure you have your start week day set to Sunday, instead of Monday, at your calendar applet. There isn’t an option where the user can change this in an user-friendly way, and there are a lot of non-US users (like me) who are used to see the week starting by Monday. This little HOW-TO will show you the way to change it step by step. Save the file and exit the editor. With these options, Ubuntu will display the time format in the english european variant, set the default paper size to A4 and set metrics for use with measurements. Take care! Executing the last command will restart your gdm, and will close all running applications. So please, be sure to save your work before doing this.